We could not locate a commemorative plaque for the town of Smartsville. The following description of Smartsville in 1879 is from The History of Yuba County California by Thompson & West. James Smart built a hotel at this place in the spring of 1856. This was the first building except a few cabins, here and there, occupied by the miners. The only large settlements at that time were Timbuctoo and Sucker Flat. L.B. Clark bought the place in 1857, and kept a store. The hotel is now owned by B. Smith. 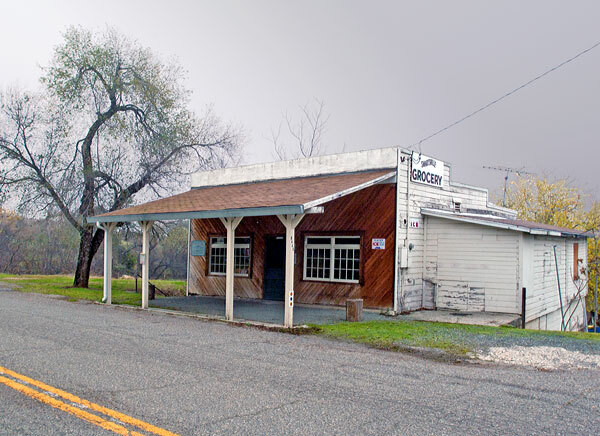 A saloon was started in 1856, also a small store was kept by a Mr. Shearer. As the mines began to develop the place gradually to settle up, until at present, it is a thriving mining town. The old cemetery on the hill, near the Empire Ranch, was first used in 1852, for the burial of a man from Oregon. This was followed by the entombing of several men who died with cholera. About three years ago a mine caved in at Sucker Flat, killing seven men, who were all buried in one day. A little further up the road is the Fraternal Cemetery, laid out by the Masons, Odd Fellows, and Good Templars, in 1875. Until a few years ago the remains of Catholics were taken to Marysville to be interred in the Catholic cemetery there; but a fine burial ground has since been laid out, just across the ravine and south of the town. Erected 1850, the original structure was destroyed by fire in 1870, and rebuilt in 1871 by the citizens of Smartsville on the original foundation. 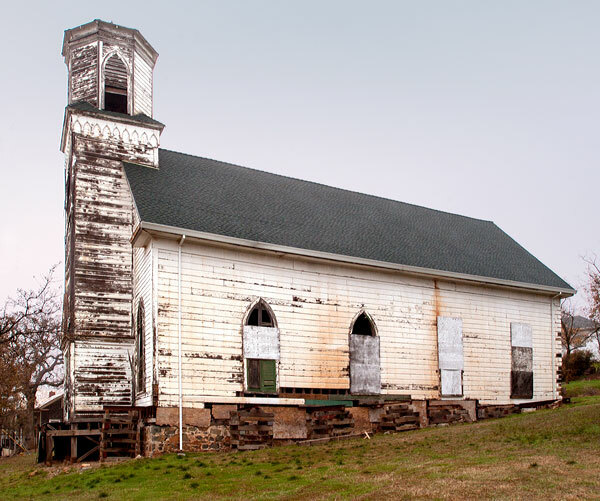 At one time this church served 800 parishioners, mostly Irish Catholics employed at the Smartsville mines which were among the richest mines in the state. Continuously operated as a Catholic Church until the 1970's, the building and grounds were deeded in 1998 to the Smartsville Church Restoration Fund Inc.